ISLAMABAD (92 News) – Outgoing Foreign Secretary Tehmina Janjua has said that India’s all attempts to isolate Pakistan at international level have failed. 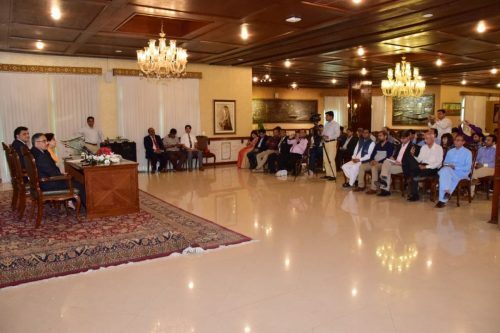 Speaking to the journalists, Pakistan is an important country of the world and it has always played a constructive role for peace and development in the region on Tuesday. The outgoing foreign secretary said that Pakistan is facilitating peace process in Afghanistan, which will continue. Tehmina Janjua, who is going to retire from service today after serving in Ministry of Foreign Affairs for thirty-five years, said there are many detractors of Pakistan; however, Pakistan always emerged as successful vis a vis challenges it had to confront. To a question about Prime Minister Imran Khan’s upcoming visit to Iran, the foreign secretary said it is an important visit taking place in the context of regional outreach. To a question, Foreign Secretary-designate Sohail Mahmood said peaceful neighborhood remains one of the central ideas of Pakistan’s foreign policy. He said India has to avoid blame game and move to resolve Kashmir dispute to establish durable peace in the region. Foreign Secretary Tehmina Janjua paid farewell call on Prime Minister Imran Khan in Islamabad today [Tuesday]. The Prime Minister appreciated her meritorious services. Earlier, Foreign Secretary Tehmina Janjua has said that the presence of Deash on Afghan soil is a permanent threat to Pakistan. Addressing an international conference on Tuesday, she said that Pakistan supports dialogues between Taliban and the Afghan government. “The prime minister has talked about taking two steps in response to India’s one for peace in the region,” she said. Tehmina Janjua said that Pakistan is ready to hold talks over all issues, including Kashmir. “India is committing human rights violations in Occupied Kashmir and the United Nations has confirmed the violations,” she added.